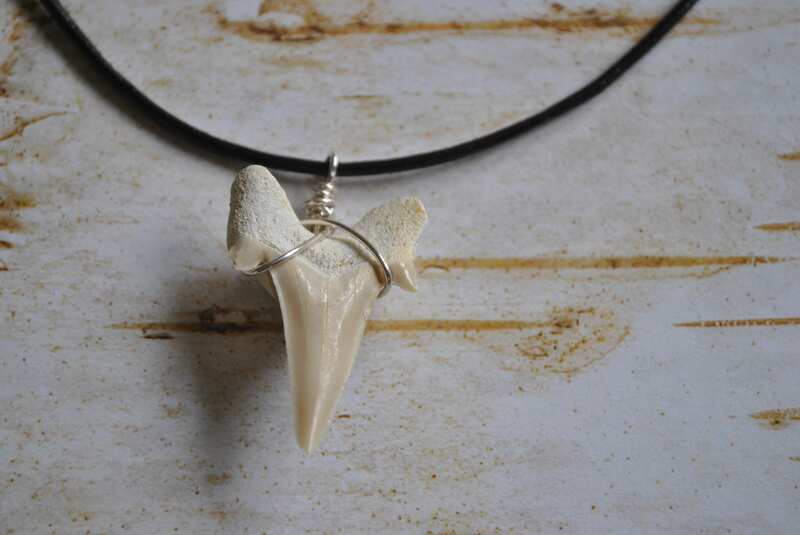 Fossil Otodus Obliquus shark tooth pendant is suspended on a brown leather necklace. 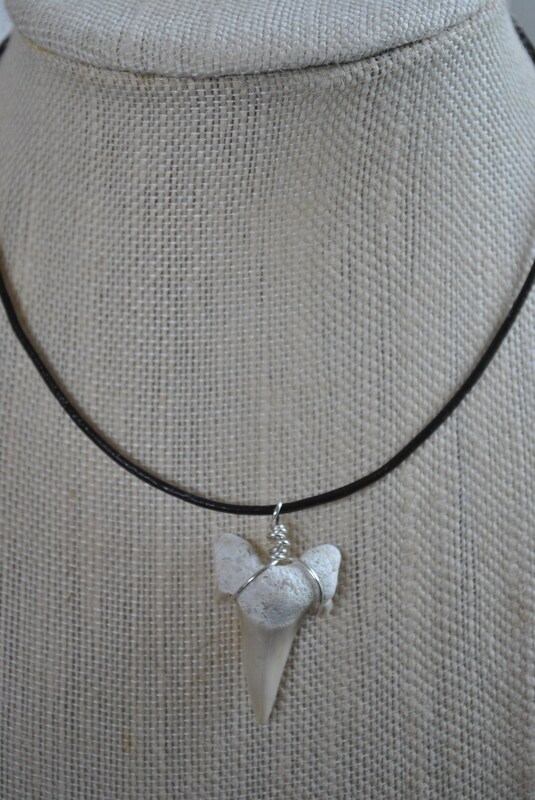 Sterling silver clasp and wire wrap. 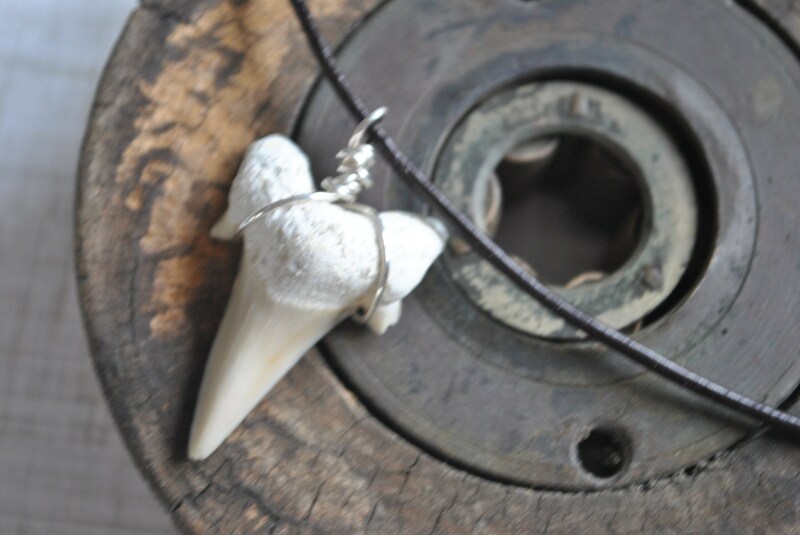 This tooth is smaller than the other shark teeth I have listed. Otodus Obliquus was an ancient Mackerel shark which lived during the Paleocene and Eocene epochs, approximately 60 to 45 million years ago. 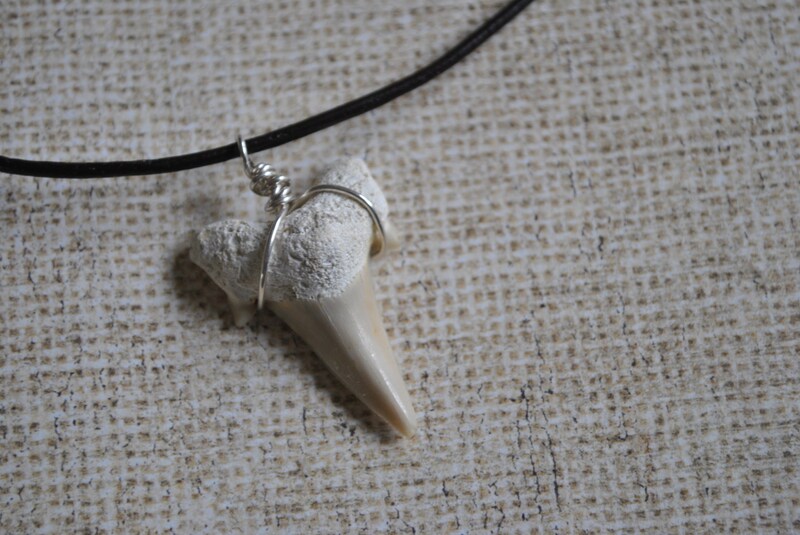 The fossils of Otodus indicate that it was a very large macro-predatory shark. The largest known teeth measure about 4 inches in height. Scientists suggest that this shark commonly approached 9 meters (30 feet) in total length and likely preyed upon marine mammals, large bony fish, and other sharks. It was among the top predators of its time.